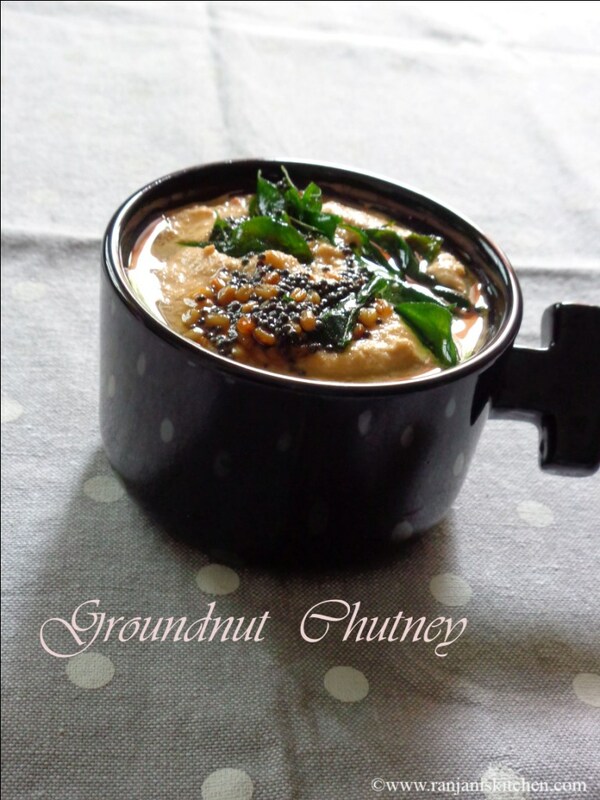 This Groundnut chutney is a little sweet, tangy and spicy chutney. 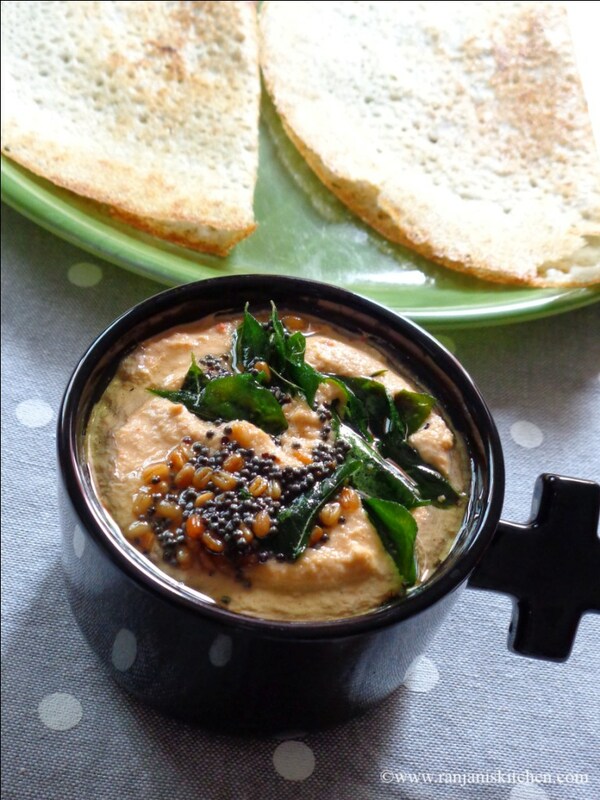 It goes well with idli and dosa.Even it’s a best accompaniment of Lemon rice or puliyogare. Red chillies/ Vara milagai – 4 nos. 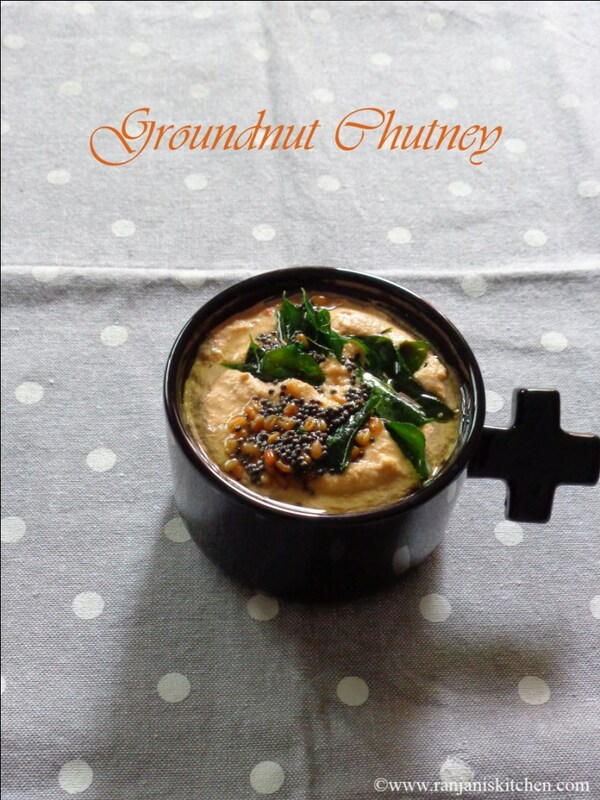 Heat a kadai and dry roast the groundnuts until it fully roasted. In the middle of roasting , you can check whether the nuts are easy to peel the skin. Then cool the nuts and peel the skin completely. 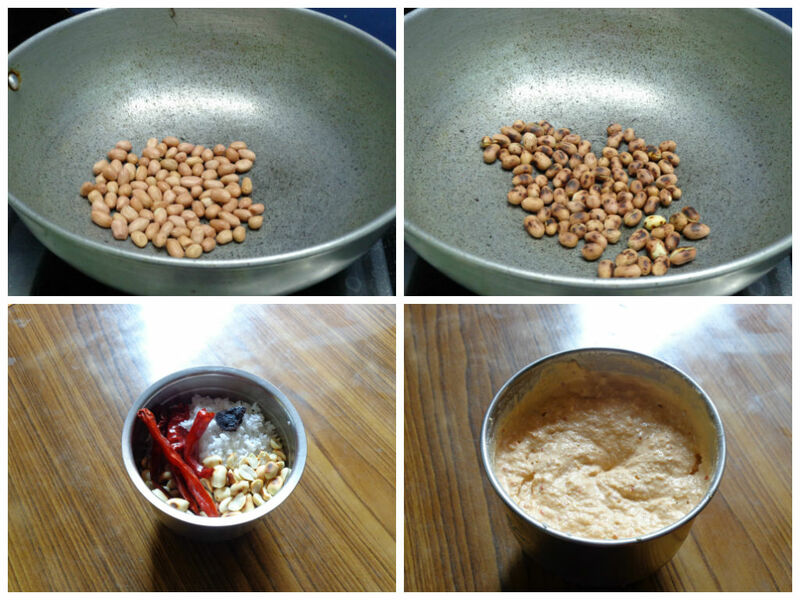 In a mixer, add coconut, dry red chillies, tamarind, coconut and groundnuts. Blend well to smooth consistency by adding little salt. Then heat another pan, add a tsp of oil and temper with the items given under “to temper”. Then serve with idli / dosa. I added tamarind for little tanginess in the chutney. If you don’t like, you can skip it. While roasting the nuts don’t burn it. Because the chutney becomes bitter. Adjust the salt level as you need. 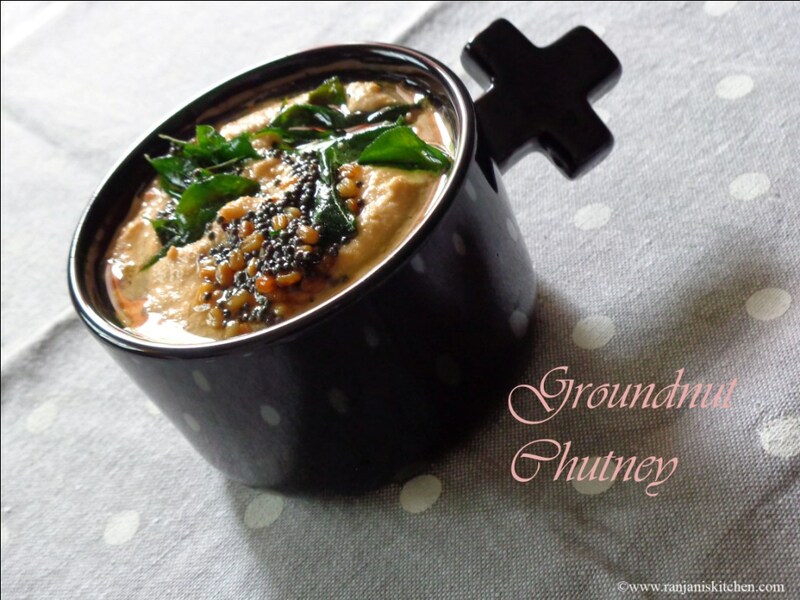 Delicious groundnut chutney love it with dosa.